Show your staff your company cares. 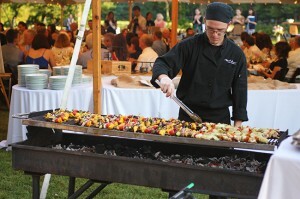 Enjoying a corporate event with services provided by Grill Works Catering is an investment well worth making. Keep your staff members happy by keeping their taste buds and tummies happy with our delicious and traditional American style BBQ. Check out our Corporate Menu here. Contact us now, and book your event today! 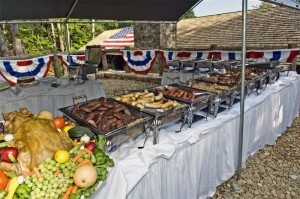 From family reunions to birthday parties, or just because… Grill Works Catering has your best interests in mind when it comes to serving all of your guests like they are our own. We know how good we are, and are very confident you and everyone else at your event will want us to come back every year as part of the tradition. Check out our Picnic Menu here. Everyone knows a wedding is not complete without food. Guess what?! 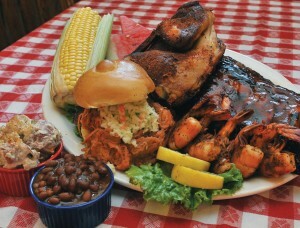 Grill Works has a knack for making delicious, top quality, and five star presented dishes. We love being the most memorable part of every wedding. Tears of joy don’t only happen when two people who are in love live happily ever after, they also happen with every bite of Brisket, Home Style Baked Beans, Cajun Rice Pilaf, and the cheesiest Mac ever! Check out our Wedding Menu here.